German film prodco 23/5 Filmproduktion is moving into TV for the first time with Das Verschwinden (The Vanishing), in which a woman searching for the truth behind her daughter’s disappearance uncovers more than she bargained for. Since Generation War burst onto the scene in 2013, the international reputation of German drama has been surging on the back of shows such as Deutschland 83, Der Gleiche Himmel (The Same Sky), 4 Blocks and Ku’Damm 56. Upcoming projects including Das Boot and Babylon Berlin are likely to ensure German scripted series remain a talking point for some time to come. It’s no surprise, then, to see filmmakers from all corners of the country now moving into television, further proving that the film-to-TV trend isn’t just reserved for Hollywood. Among German producers now targeting the small screen is 23/5 Filmproduktion, which is finding its way in this new world with Das Verschwinden (The Vanishing), its first TV drama. Building on another current trend – stories with a disappearance at their heart (see also The Missing, The Five, El Regreso de Lucas) – The Vanishing centres on the search for 20-year-old Janine Grabowski, played by Elisa Schlott, who goes missing from a small Bavarian town near the Czech border. While all the evidence suggests Janine wanted to leave her rural life behind, her mother Michelle (Julia Jentsch) takes up the investigation herself and quickly finds that the more she looks for answers, the more she discovers about her daughter and the company she kept. She then begins to question whether Janine even wants to be found – and her own role in the disappearance. The eight-part series, distributed by Beta Film, was created by writers Bernd Lange and Hans-Christian Schmid, who also directs. With five or six stories in development, they were discussing which film to shoot next when they turned to The Vanishing, a story they determined was too complex and had too many characters to squeeze into a 90-minute feature. The series is based on a true story, and Schmid says he was keen to explore why young people have such a hard time with their parents. “Nowadays in this area, there are a lot of drug issues. Crystal meth is produced along the Bavaria-Czech border and it’s transferred to these small towns where you can buy it for €10 [US$12],” he continues. 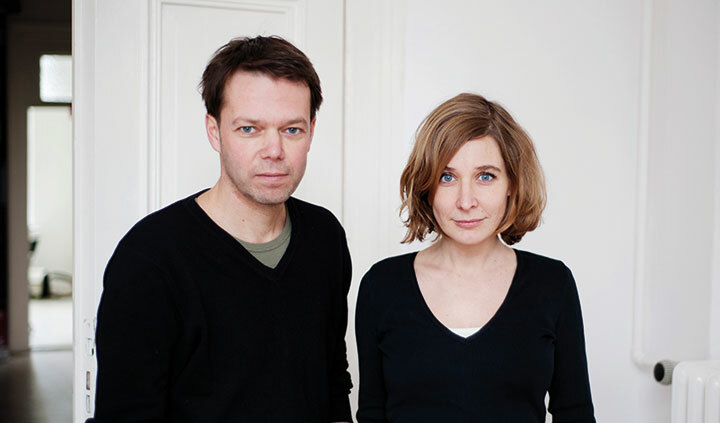 After getting the green light from public broadcaster Das Erste, the immediate challenge facing Schmid and producing partner Britta Knöller was raising the budget by navigating the German regional broadcasting system. The series is coproduced with Mia Film and ARD Degeto, BR, NDR and SWR. Support also came from funding bodies FilmFernsehFonds Bayern, Medienboard Berlin-Brandenburg and the Czech State Fund for Cinematography. On the creative side, coming from a cinema background meant Lange and Schmid had to come to terms with a new story structure featuring enough material to fill eight hours of television. “It was just so hard to treat all the characters well and keep all the storylines up and to not just include something just to keep the story going on. It was quite challenging,” Schmid recalls. Production was completed in December last year following a 90-day shooting period for a show whose story progresses over eight days. “Because we had one director [Schmid], we shot all the scenes at one location and then moved on to the next, so the actors were really hopping between these eight episodes, which probably isn’t the nicest thing for either the director or them,” Knöller admits. Schmid worked with the production designer and cinematographer to create a show that he believes “doesn’t look like TV,” taking some inspiration from the naturalistic approach of French supernatural drama Les Revenants (The Returned). “It’s really hard to do to German suburbia and to try to make it look like something you want to watch,” he admits. 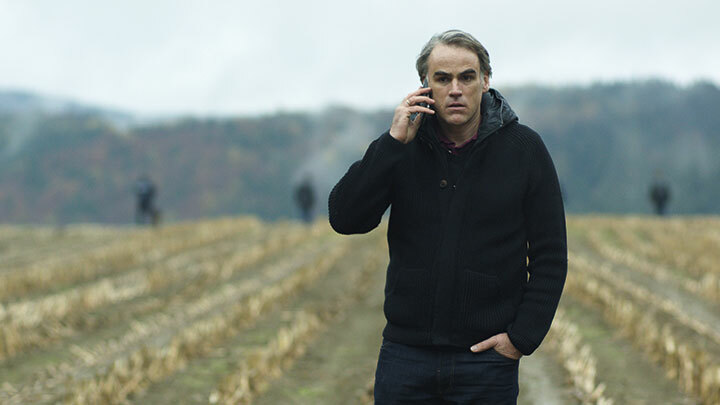 With The Vanishing set to debut in Germany this fall, 23/5 is now working on its next feature. And while the company hasn’t ruled out another move into television, it won’t embark on another small-screen series just because it’s the fashionable thing to do. “Producing series just to be part of the series hype is kind of foolish,” Knöller notes, adding that new financial mechanisms are required to support independent producers. She says 23/5 will observe whether broadcasters’ current demand for series holds up and, reflecting the US industry, leads to television replacing mid-budget feature films, which now struggle to get made.